For over thirty years, Showplace have been delivering indoor exhibition stands to leading companies throughout the UK and worldwide. Take a look at how we work. Already have a shell scheme at your chosen event? Showplace with work with your space to represent your brand within your exhibition budget. Have something unique and extraordinary in mind? 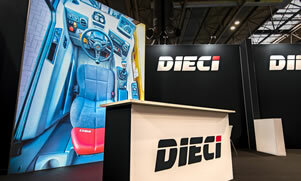 Showplace have an in-house design team that are able to take care of your bespoke exhibition stand design requirements. 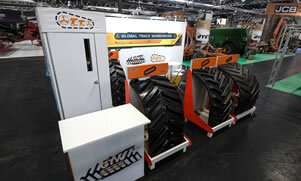 Learn more about our bespoke exhibition stands. 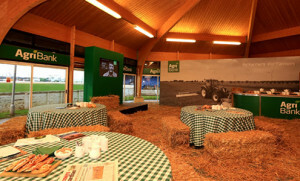 Our experience in exhibition stand design is unrivalled, with the Showplace team being able to design innovative and exciting event stands, whilst also providing an economical and environmentally considered alternative to traditional stand build. Our Echo Graphic Exhibition System provides the means to build an exhibition stand in almost any shape and size where any surface is fully branded creating a bespoke and fully reusable stand. Utilising our unique tension fabric graphic system, the stand graphics can reusable and stored at Showplace at no additional charge. From a one-off bespoke exhibition stand design to bespoke multi-show global programme and shell scheme upgrades, The Showplace Team provides a tailored solution to match your brief and budget, using the very best designers, project managers and installation experts to ensure your stand objectives are surpassed. Great graphic design is vital to making any stand, stand out in the crowd. Our indoor exhibition stand design department will work closely with you to produce stunning designs and excellent brand representation. From design concern and artwork service to providing rendered visuals, leave it in the hands of our expert team to oversee. Whether your focus is to gain sales leads, brand exposure, networking, host clients, conduct demonstrations, showcase your products, team training- our team will help you get there every step of the way. Showplace are based in Stratford, Warwickshire, and offer our services throughout the UK and worldwide.